With its smooth, unglazed surface and its slight shade variation, the Jeffrey Court's Glass and Stone mosaic wall tile can be installed alongside stone or ceramic field tiles (sold separately) to create a coordinated look. 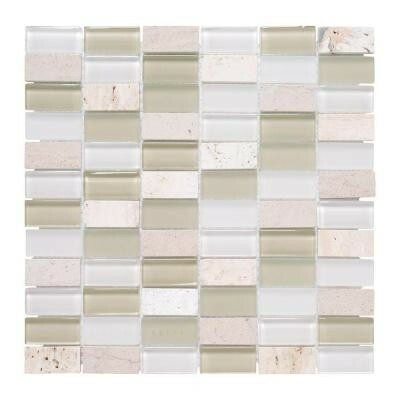 Mesh-mounted Mosaics can be used as a whole sheet or cut to make affordable feature strips. You can buy this product in our internet market. We will be glad if you make the right choice. .948 square foot per piece, each piece sold individually. Piece weight 3.5 lb.